SGLT2 inhibitors, including Invokana and Farxiga, are a new type of diabetes medications that are prescribed to Type II diabetics as a means of helping to control blood sugar levels. Since their release to the general public, however, the FDA has reported 20 cases in which use of SGLT2 inhibitors has led to a dangerous condition known as ketoacidosis. Ketoacidosis can cause serious impairments and may even be fatal. Did you develop ketoacidosis while on a SGLT2 inhibitor? In May of 2015, the FDA released an official statement of warning for SGLT2 inhibitors. Taking these drugs may result in a serious medical condition known as ketoacidosis. According to their statement, they are “continuing to investigate this safety issue and will determine whether changes are needed in the prescribing information for this class of drugs.” The FDA has requested that both health care professionals and those taking these drugs report any side effects to the FDA MedWatch program. The FDA approved a new class of drugs to lower blood sugar called Sodium-Glucose Co-transporter 2 (SGLT2) inhibitors. The primary treatment for diabetics is to lower blood sugar levels with a regimen of lifestyle changes and prescription medicines. These new medications in diabetes management are unique because they work at the kidney level to reduce blood sugar through the urine. As blood is circulated through our body, it passes through the kidneys in order that waste products can be filtered out and excreted from the body. Non-waste products are reabsorbed into the blood stream for continued circulation. Under normal circumstances, a substance known as SGLT2 transports sugar from the kidneys back into the bloodstream. SGLT2 inhibitors block these transporters so that sugar remains in the kidneys and is removed from the body. The use of SGLT2 inhibitors in patients with type II diabetes may lead to a serious condition called ketoacidosis that may require hospitalization. Ketoacidosis happens rarely in Type II diabetics. However, 20 cases of Type II diabetics developing ketoacidosis have been discovered by the FDA. All of these cases have required emergency hospitalization. Ketoacidosis is a state in which the concentration of a substance known as a ketone body becomes elevated in the blood, causing the blood to become more acidic. If this change in acidity is too great, many important processes in the body are impaired and the results can in some cases be life-threatening. Diabetic Ketoacidosis (DKA) can happen to both Type I and Type II diabetics. However, it is rare in people with Type II diabetics without a precipitating cause. This makes the cases of ketoacidosis in Type II diabetics taking SGLT2 inhibitors alarming. Type I diabetics are at a higher risk for developing Ketoacidosis than Type II diabetics. Type I diabetes is an autoimmune disease in which the cells in the pancreas which produce insulin are destroyed and the body no longer has the needed insulin to remove sugar from the blood. Since Type I diabetics do not produce insulin, they are dependent on insulin injections to manage their blood sugar. Without enough insulin, the body will break down fat for fuel and the byproduct of this process can result in ketoacidosis (DKA). SGLT2 inhibitors are not FDA-approved for Type I diabetics. It is rare for people with Type II diabetes to develop ketoacidosis without an external cause. In Type II diabetes, the body produces a normal amount of insulin, but the cells of the body become resistant to insulin. 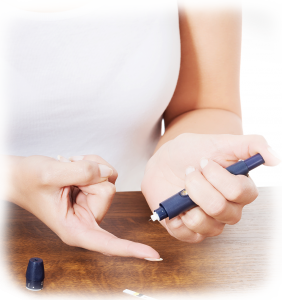 SGLT2 inhibitors are FDA-approved to reduce blood sugar levels in Type II diabetics. However, SGLT2 inhibitors can be overly effective and may reduce blood sugar levels to a dangerous point (hypoglycemia.) In the absence of sugar, the body will break down fat for energy and create high levels of ketones in the blood as a byproduct. In additional to ketoacidosis, SGLT2 inhibitors have other serious side effects. Each of these conditions may pose a significant threat to your overall health in and of themselves. As a result of the FDA statement released in May 2015 regarding the dangers of ketoacidosis associated with SGLT2 inhibitors, attorneys have begun accepting cases from those who have suffered the harmful effects associated with these drugs. By stepping forward and sharing your story, you may be able to help prevent the same disastrous side effects in other would be users of these drugs. By reporting any of the side effects you have experienced and taking legal action, you help to assure that these drugs are removed from the market before they can cause further harm. 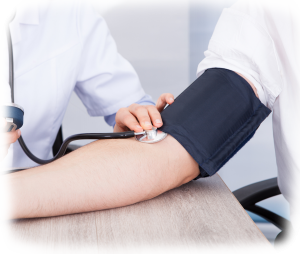 Our lawyers will present your case along with those of the many others who have suffered disability and death as a result of SGLT2 inhibitor use, and seek the financial compensation you deserve. Suffered from ketoacidosis from taking Invokana or other SGLT2 inhibitor?